Advanced Strategic Command Game - Download and Play Free Version! In Advanced Strategic Command, you are the general of an increasingly diverse army of units, guiding them to victory through maps made up of hexagonal grids. Don’t let the dated graphics and gameplay fool you, Advanced Strategic Command is a very challenging game with a steep learning curve, and it is sure test your frustration tolerance in the best possible way. 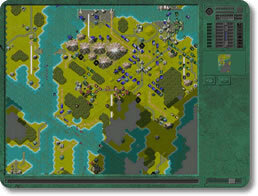 The look is nostalgic and highly reminiscent of vintage DOS strategy games, and the gameplay follows in those footsteps. You move your soldiers through a hexagonal grid, guiding them to clash with enemy units and taking over enemy structures. There is no time limit, so you can take all the time you need to plan your next move, position your units, gather your resources and position your mines before ending your turn. And you better make the most of it; because the AI is highly intelligent and will do everything it can to ruin your best laid plans. 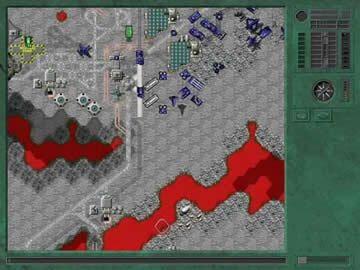 Based on the old PC game Battle Isle by Bluebyte, Advanced Strategic Command has every bit of the feel and look of that bygone classic, but with a much more sophisticated resource management system that adds complexity to an already difficult game to master. The modern updates to the whole resource system will keep players on their toes, and it is sure to challenge the most discerning strategy gamer with an intricate system that combines mining, efficiency of your buildings and unit proximity to resource nodes. Much in the tradition of ye olde DOS games, Advanced Strategic Command plunges you right into the action from the get go. No game selection screens, no pre-gaming options and no warnings what so ever. As soon as the screen loads, you are at the start of the first mission. This is a direct indication of the learning curve and no-nonsense attitude this game has. This game has a depth and complexity that a simple tutorial cannot convey, and it will test the patience and intelligence of the most seasoned tactician through long and brain-stimulating missions. Be sure to set aside some quiet gaming time before trying this game. You will certainly need it! 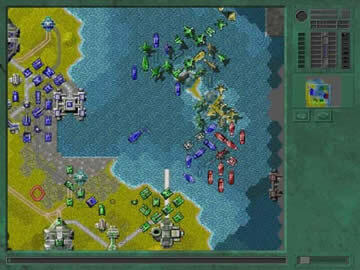 While you can go solo and test your wits against the computer, Advanced Strategic Command can also be played against friends using PlayByMail or you can also connect to other players through Project Battle Planets. Unfortunately, the PBP gaming network is in German. Advanced Strategic Command may look dated, but that is a big part of its charm for any gamer that has been a long-time fan of the strategy genre. With a game sporting such depth, complexity and addictive gameplay, any tactical gaming devotee should do him or herself a favor and download it today.